Castles – Avoiding "Watchful Dragons"
Classes are hardly under way, and already I’m learning interesting things…who hipsters should aspire to, for instance, in their endless endeavors at sporting the most stylishly perforated belongings. So onward! For those of us who keep shelves of mason jars because without them we would be incriminated as poseurs. If you thought pre-ripped, pre-faded jeans where the best thing since sliced bread, then you have another thing coming. The Romantics were experts at discovering popularity through self-inflicted discomfort. 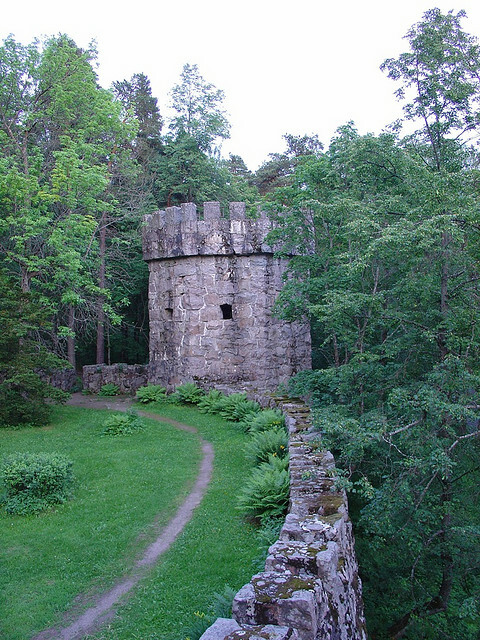 The pre-ruined castle. A thing of utter, atmospheric beauty. When I see a man with ripped and faded jeans that are too short, I think what terrible, heroic adventures he must have been on for his clothes to end up like that (and I wonder why he had said adventures in woman’s jeans, but that’s beside the point). But when I see a family sporting a castle that looks like it came out of post-Mordor invasion Osgiliath, my awe is increased a thousand-fold (or would be if I ever saw a thing like that). It’s true. Folks on the richest end of the Romantic era would sometimes create these pre-damaged towers for the sheer effect of it. This applied to some literature at the time as well. Poets particularly would leave out stanzas for mystery or effect, or for the claim that their poetry came from something much older and incomplete. 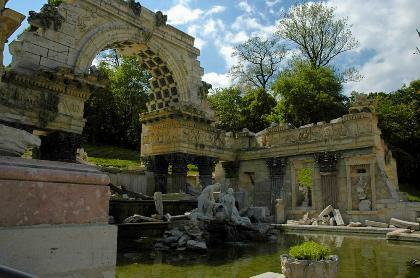 This tradition of false ruins apparently continued on into the 19th century throughout Europe and parts of Russia. The art of the “Vintage Castles” is something that would never have occurred to me, but as I think on it, why the hell not?! So is it “frivolous expression of the fragment’s fashionability,” or is it an artful depiction of Nature and Time overtaking humanity’s efforts? There: I bet you didn’t expect me to get philosophical, and that’s why I won’t go on. Just a fun thought and a fun post for me to write. I assume you art history buffs will have already heard all about these, but if this is new to you (and if you’re a hipster), I suppose you have something to aspire to when you get rich.